Carl Gustav Jung lived from 26 July 1875 up until 6 June 1961. He was a Swiss psychiatrist, an influential thinker and the founder of analytical psychology. Jung is often considered the first modern psychologist to state that the human psyche is "by nature religious" and to explore it in depth. Though not the first to analyze dreams, he has become perhaps the most well known pioneer in the field of dream analysis. Although he was a theoretical psychologist and practicing clinician, much of his life's work was spent exploring other areas, including Eastern and Western philosophy, alchemy, astrology, sociology, as well as literature and the arts. He considered the process of individuation necessary for a person to become whole. This is a psychological process of integrating the conscious with the unconscious while still maintaining conscious autonomy. Individuation was the central concept of analytical psychology. Many pioneering psychological concepts were originally proposed by Jung, including the Archetype, the Collective Unconscious, the Complex, and synchronicity. 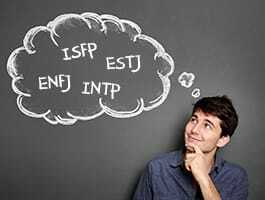 A popular psychometric instrument, the Myers-Briggs Type Indicator(TM), has been principally developed from Jung's theories. You can take a free Jung personality test or read about the Jung typology developed from Carl Jung's theories.